We're announcing today that this bundle will be available at 30% off at launch, for a limited time. That's a reduced price of 8400 Zen. Enjoy, Captains! I'm not technically a whale, but I've bought every pack so far on the day they announced them, but this one? I'll pass. Will the Shran and Gagarin ships have discovery era skins/appearance options or just the 25th century look? Also, can the Bridge Officer's be customised or are they static like the Hierarchy one? Why are the boffs once per account...…. That's still $84 bucks. You better hope your loyal whales are willing to make this worth being viewed as unscrupulous and greedy to the rest of the playerbase. Because that's exactly what the optics are, and that isn't good. Cryptic should be looking at EA and how they're being taken to the cleaners by their formerly loyal customers. If the customers can do that to EA, just imagine what a smaller studio like Cryptic can suffer if they continue to do things like this. Most likely. They already set a standard with the Europa Class having both STO and Discovery era parts. Hell... you can even mix and match if you wanted. Could the Europa and the Malachowski be added? Maybe that would make it ok? Crossfield can't as it's lockbox, but maybe a spore-drive free mirrorversion? Well, thanks for the launch sale, it is pretty generous. But unless the BOff's and combat pet are made to be account unlocks, still no sale. Unless part of a special event unlock, combat pets seem to always be 400z per character. If the Boffs are exclusive to pack owners (and not for purchase in the zen store), I'd agree they should be account unlocks (restricted by faction) similar to Delta Rising Bridge Officers. However, if boffs are available later for purchase in the zen store, then they are usually per character unlock (e.g., Borg, Anear, Caitian, Ferasan Boffs). Assuming everything can be purchased seperately in the zen store at current prices. I've never heard of 'upgrade kits' but I assumed the 5 upgrade kits have the same value as 5 RnD packs. Similar to the Gamma Vanguard Pack, I'd assume owners of the Starter Pack would get a 1500z discount off the regular price. So Dsc Starter Pack holders should be able to get the Dsc Ops pack for 10500, plus any applicable sale discounts. I hope this clears up why there is a value beyond the ships to consider. If it is of value to you, is a different question. This right here is a deal breaker. Shame on you Cryptic. I would have gladly bought this before I saw that. You're getting too greedy. Let us explore it... together. Each man hides a secret pain. It must be exposed and reckoned with. It must be dragged from the darkness and forced into the light. Share your pain. Share your pain with me... and gain strength from the sharing. Well the votes are in and it's a Landslide. Nobody likes the new bundle. It's not an "I hate Discovery" thing either. I, personally like the Shran, but I'm not buying the pack to get it. Not buying it by itself either as I've got plenty of ships that can do the same, or better, thing it does. Looks like the new pricing experiment is going to fail, catastrophically! I know imitation is the sincerest form of flattery but, Is EA's micro-transaction backlash really something you want to emulate? One of the main differences between this pack and AoY is that it has ships for the Klingon characters, while the AoY was devoid of that. I hope that there will be AoY packs for Klingons and Romulan characters, that would include the TOS variants shown in AoY's tutorial mission, as well as 26th Century versions of the KDF and Romulan Republic ships). It would be worth it to have those ship packs for the KDF and Romulan Republic, even if there wasn't an expansion to the AoY expansion to show how Klingon and Romulan characters becoming (AoY style) Temporal Agents. I hate to break it to you, but everything that WAS created for the Klingon space critter groups from that era for the most part have been given away as either a promotional box ship or a lock box ship, except for a D5 raptor, so there's not much that they can really do there. On the Romulan side of things, the Romulans had barely anything more to do. 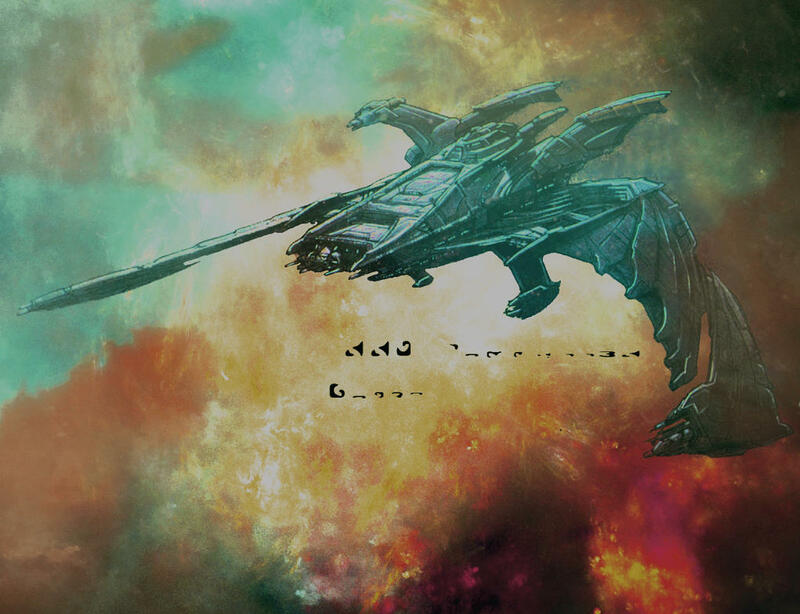 There was the T'liss Frigate (which the skin existed already and given to the Temporal cruiser promotional pack), The Khenn Cruiser (the Romulan version of the Klingon D7) and the Thrai battleship (released as a Dreadnought Cruiser in the Undiscovered lockbox). I think the biggest issue of them doing Temporal Agents for Klingons and Romulans is that they have to justify a reason for them becoming Temporal Agents in the first place, especially after they are brought to the future. - Kliingons: When we are introduced to the Klingons, they establish that they are an Empire, which means that unlike the United Federation of Planets, Klingons prefer to conquer planets and subject them to imperial rule. While Temporal Agent Klingons could adjust to the 25th century as the Klingons and the Federation are still fighting, there would be a larger adjustment since even though there was a treaty signed, the Klingons still liked to challenge the Federation as an adversary. We see in a lore blog of Klingons awaking from stasis on K-13 that they have quite the adjustment to make since the Federation by that point are allies, something that they have never really known. - Romulans: Just like the Klingons, the Romulans are introduced as an antagonistic Empire, but seem to be rather isolationist, breaking the isolation in order to test a new ship design against one of their neighbors. Even though they were an Empire, they were less interested in expansion through war and more interested in taking what they could covertly. I think Temporal Agents would likely have a problem transitioning to how things are done for the 25th century, since they would be leaving an Empire and being funneled into a Republic, a situation that they would likely not be too please d about since they would have to battle the Star Empire, which is what they've known. No discount for already having the starter kit, so I'd only get four ships. I don't play KDF enough to warrant buying ships... so 2 ships. 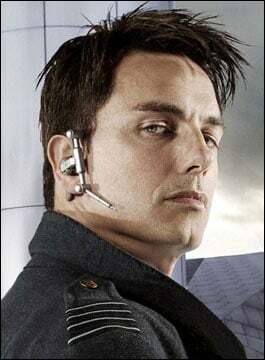 Now to the annoyance...Fed Bridge Officer, KDF Bridge Officer, Combat Tardigrade Once per Account? I really hope you guys are kidding and this is human error on writing the blog. As far as total value goes, this pack is probably the worst offering in the C-Store. I am not sure how they justify that price for a pack that contains so many one time items but needless to say I won't be buying. I might buy one of the ships as a stand alone if they're any good, but even that is unlikely since I usually tend to only buy ships that are fleet level from the store. It's less of an issue now that I can get Fleet Modules from Reputation but it will depend on how badly I want the ship. Cryptic needs to go back and re-evaluate this pack, it's a horrible value for the price. Very disappointing to see them go this route. Looking for a fun PvE fleet? Join us at Omega Combat Division today. As I voiced earlier, like many, the BOFFs & combat pet should be per account not per character. Whom ever made that decision is out of touch with the STO player base &/or just doesn't care. That whole "the account is the player" seems to had been a ruse to try to placate us players. I don't even consider the titles, 2 XP boosts, 5 "high-end" upgrades so Cryptic isn't even confident enough to reveal the exact upgrade yet, & the 10 keys. These are mediocre fluff pieces & the keys won't be winners so players saying those add value are really drinking the kool-aid the value added by those is minimal at best & its purpose is character filler for lengthier descriptions when double-spacing isn't enough. I do think Cryptic will add 1 or 2 more items to this pack trying to white knight the deal. I hope they are worthy items/services that will be added to allow reconsideration by many. The ships in the pack do look like they're good quality, but 4 new totaling at 8400/12K zen are they all the T6U type? Nope, since we can purchase their own Fleet versions. At least that would had add to their value for the pack. Unless these ships' consoles & traits are excellent whoppers just save up for a fleet version. Then at the tail end it also has that same Walker-class prototype that scales which is a good edition especially since it has an ultra cool exclusive paint job. All the while not mentioning any discount for us that previously purchased that Disc starter pack including that ship. Maybe Cryptic will have another Disc toon creation event again but this time actually add something unique besides just a title & insignia only to differentiate & add that to the pack. This is just more of Cryptic wanting us to pay the same or even more for less content. Another method they could subjectively add value to this pack is if the price for all these items are increased in the C-Store compared to the same tier items. Similar to what they did for the playable Cardassians. I'd attempt a constructive rant/ramble.. but I think it's already been discussed in more than enough detail at this point. Drop to a 6k-8k zen price-point and you might actually see some biters. One-off consumeables are not a value compensation consideration for buyers with these 'premium bundles'. Please make the Bridge Officers and the combat pet account wide and not once per account. Every pack that has included bridge officers before has been account wide, as long as it's of the appropriate faction. This makes 0 sense. > We're announcing today that this bundle will be available at 30% off at launch, for a limited time. That's a reduced price of 8400 Zen. Enjoy, Captains! > That's still $84 bucks. You better hope your loyal whales are willing to make this worth being viewed as unscrupulous and greedy to the rest of the playerbase. Because that's exactly what the optics are, and that isn't good. > I'm not technically a whale, but I've bought every pack so far on the day they announced them, but this one? I'll pass. > Cryptic should be looking at EA and how they're being taken to the cleaners by their formerly loyal customers. If the customers can do that to EA, just imagine what a smaller studio like Cryptic can suffer if they continue to do things like this. I think they HAVE been looking at EA. Sadly they learnt entirely the wrong lesson. Or they haven't been looking. like crossing the road without looking first.. a disaster waiting to happen. You'd think after 9 years of the same old uncompromising design team in Cryptic who work on STO, that the customers here would of clamped down on the same dirty tricks that Cryptic have employed in the past, certain price increases, certain types of restrictions, certain game design choices and so on. of course the few here who make their point clear are only a vocal minority, probably not even 0.1% of the overall playerbase, so what happens if that uncompromising design choice continues and the voices here are simply ignored while Cryptic continues to enjoy netting millions of unware victims to their new value system in this pack anyway? This is what i've always been afraid of, what i always knew they could be capable of if they had the iron to actually do it, and so many have dismissed my comments in the past without actually attributing to who and what they are and what they are capable of in the future. i don't think of right there and then, i usually think of what they could do in the future because i already had a very good idea of what it is they are, i have always known since the back end of 2010 when i registered and watched the forums after about 10 minutes. T6 Miranda Hero Ship FTW. Been around since Dec 2010 on STO and bought LTS in Apr 2013 for STO. Oh look, another pack with no romulan stuff. 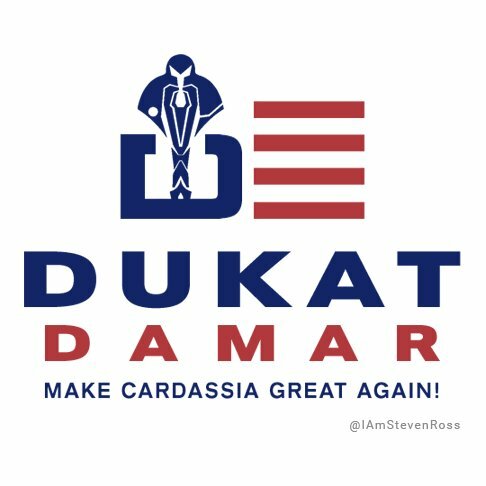 Because star trek discovery has not yet shown the romulans. so till they do the dont know what they will look like. i have watched all eps of star trek discoovery to date. And you seem to be under the mistaken impression I care what the hell shows up in that dumpster fire of stupid. They did not have to release a pack related to that excrement of a show now. They could have released a standard all faction mega pack. But no...they release this PoS offering that is probably the worst deal ever in the hopes that the essteedee kiddies have more money than brains. And this is the third pack in a row now that has ignored Romulans entirely. Well fifth if you include the ViL and AoD expansion packs...but honestly those you expect to exclude things so I really don't. But honestly the lack of ships for even the new dominion faction ships at this point is becoming an issue as well. Hell we can't even be bothered to be given a fraking TITLE. And the fact that many of us already own one of the ships, the prototype Walker - so in essence people who buy this dumb of a bundle are buying a new ship skin or costume, soo not worth the price. This is the worst bundle ever introduced in this game. The skin shouldn't cost too much and even if it is too much it's no skin off my back (pun not intended). I tend to agree, sadly. I think most, including myself, players want to support STO financially, when we can, but it has to be measured & worth while for us the players to do so. This pack in particular by Cryptic doesn't offer a good value, my opinion, & yet I think it will still sell well to continue a what I think is a decline of STO by Cryptic. It is a "we have less customers so let us raise the prices mentality" which is short term sighted but not long term imo. We, as players, are partially bringing this upon ourselves too & that has to be a tough decision for each of us since we want STO to succeed & we want the new item(s) but at what cost? It is a "we have less customers so let us raise the prices mentality"
Except, according to Crytpic, 2018 was STO's 2nd best year in terms of tings like people playing. They have a FAR LARGER customers base ever since they went to consoles. Yeah - forced to agree. Have to say, the reaction on Social Media has been interesting though; usually see a great deal of support from people/players with more money than sense on the Social media platforms, but seeing much more of a mixed opinion this time. There are still the "shut up and take my money" comments, but there seem to be an almost equal number of people/players who, like most of us here on the forum, see this pack for what it is. In particuar, the FB thread where STO declared a 'on-release sale price' for the pack; numerous players commenting, in that thread, that it's STILL not worth it. Personally, as have said, it's a hard pass for me - but then again, I've resolved not to spend any more money on the game for reasons that are likely obvious. This is a T6 Gladius, isn't it? I AM THE HARBINGER OF HOPE! I AM THE SWORD OF THE RIGHTOUS!